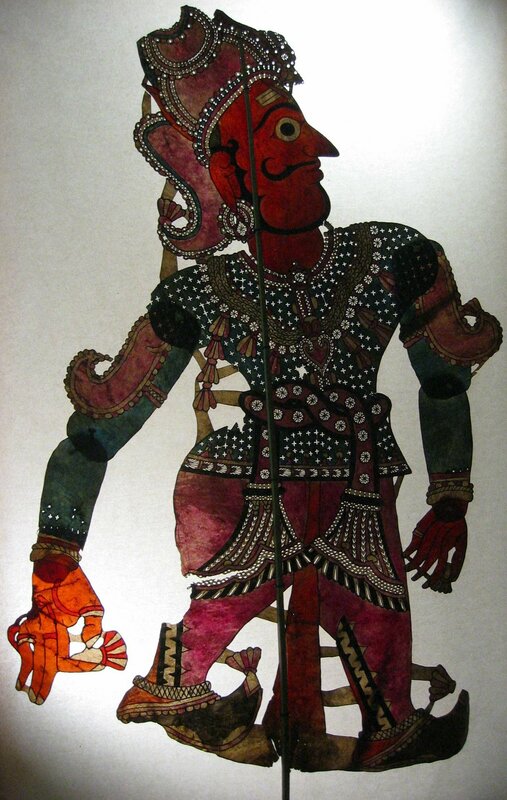 Traditional shadow theatre from the state of Andhra Pradesh in south-east India. 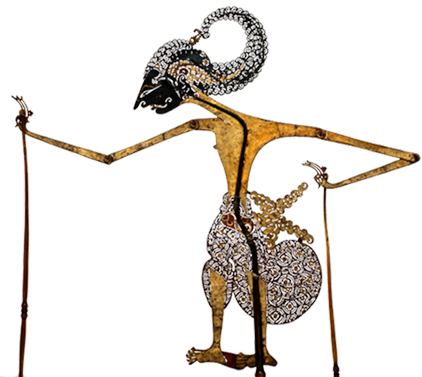 Tolu bommalata is a very ancient theatrical expression whose puppeteers can trace their ancestry eleven generations in the past. 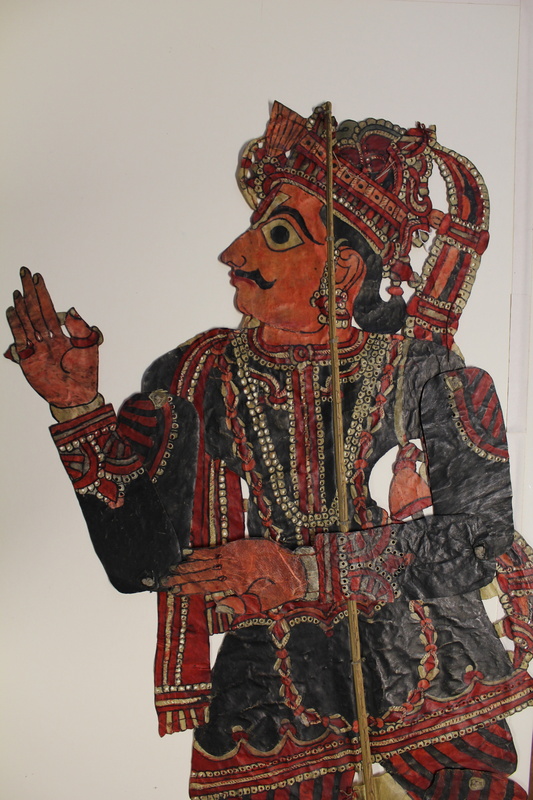 The leather figures (which the name tolu bommalata actually signifies) that can sometimes reach 1 metre in height and are called “the giants of Andhra Pradesh”, experienced great popularity under the Satvahana and Chalukya dynasties between the 4th and 6th centuries. 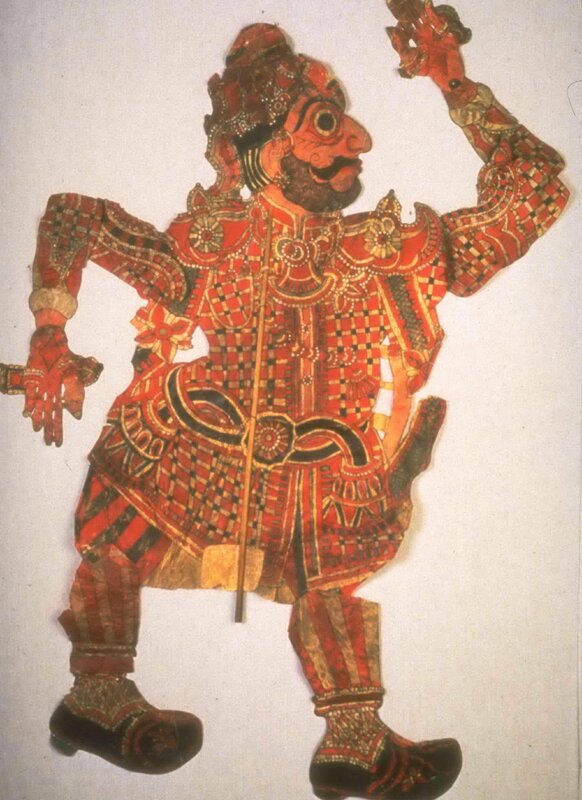 During this period, the figures spread to Java then into all of Indonesia, as well as Burma (Myanmar), Siam (Thailand), Malaysia, Japan, and China where they adopted more local forms and repertories. Tolu bommalata performances are held outdoors. 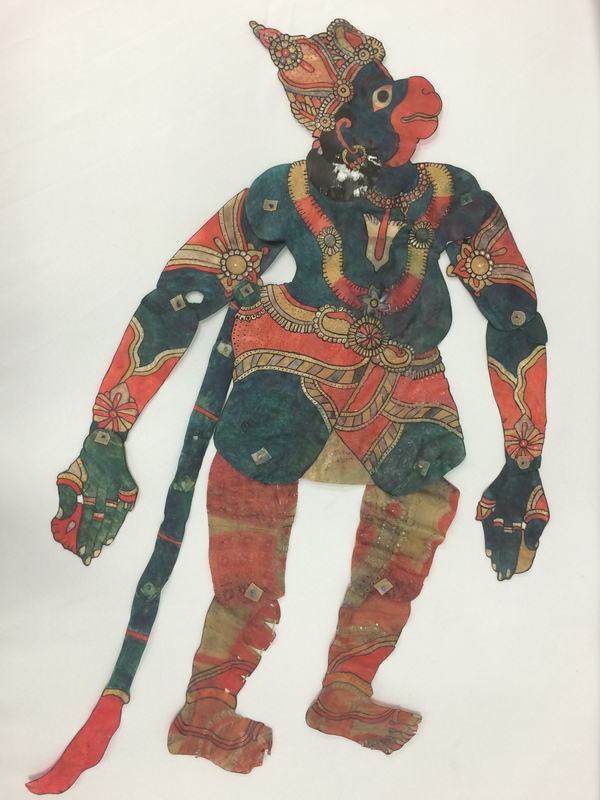 Originally, they were performed near the temples for the Maha Shivaratri festivals (Shiva celebrations which lasted nine consecutive days from dusk to dawn); later on they were performed on a parcel of land that was put at the disposition of puppeteers by villagers. 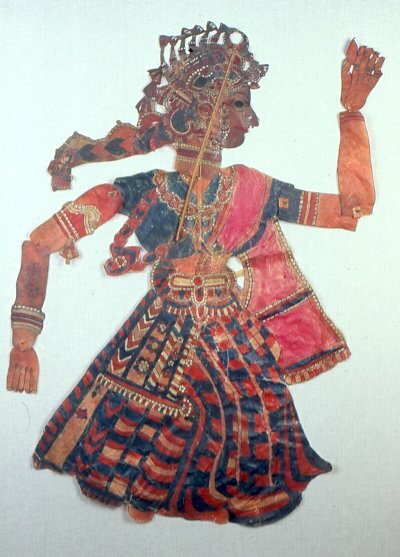 The nomadic puppeteers, who belong to the lowest castes of society, travel from village to village during the dry season. During the monsoon season, they settle in one place to make or restore their leather figures and music instruments such as the mukhaveena (from the oboe family), the mridangam (two-skinned drum), the jalor (wind instrument) and the kartal (small copper cymbals). 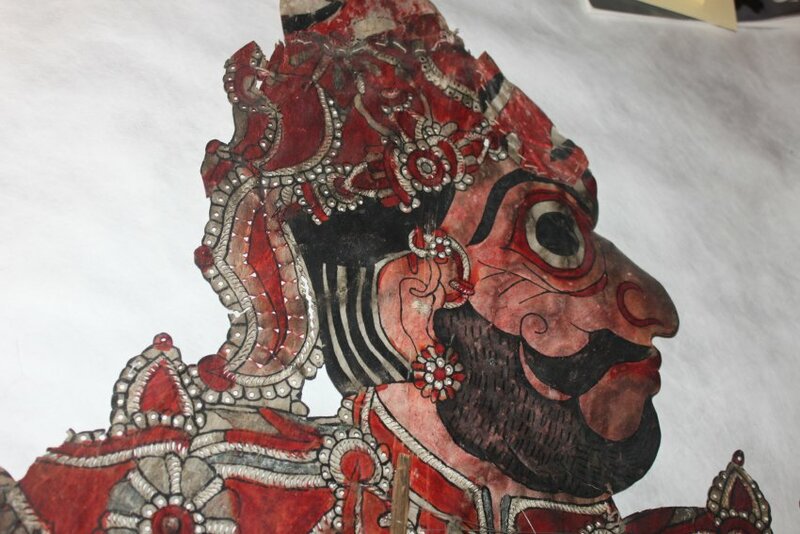 The figures, which are cut out from buffalo leather but sometimes also from doeskin to make divine and royal characters, always present a face in profile with the exception of Ravana with his ten heads (one full face and nine in profile). The neck, shoulders, elbows, wrists, waist, hips, knees and feet all have articulations joined by leather rivets. Two movable bamboo rods perpendicularly run through the body of the figure. 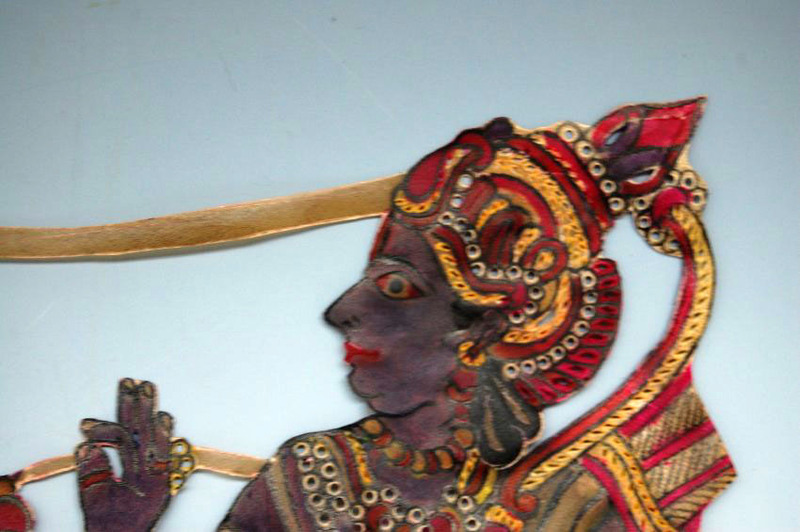 Thinner rods, which can be inserted temporarily in the hands and knees, allow for subtle and varied dance movements. 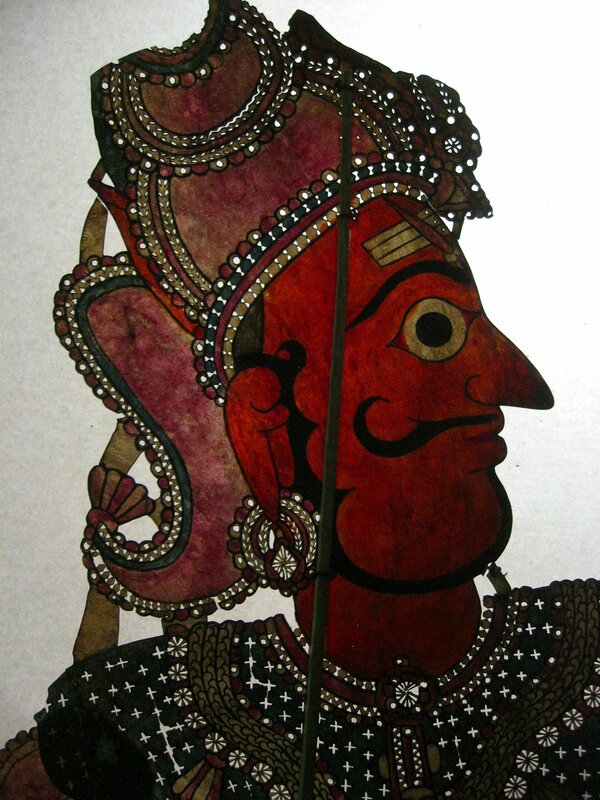 The relatively thick skin, while still keeping the transparency of parchment, is tinted with vegetable colours and perforated to show jewel motifs, dress ornaments and designs. 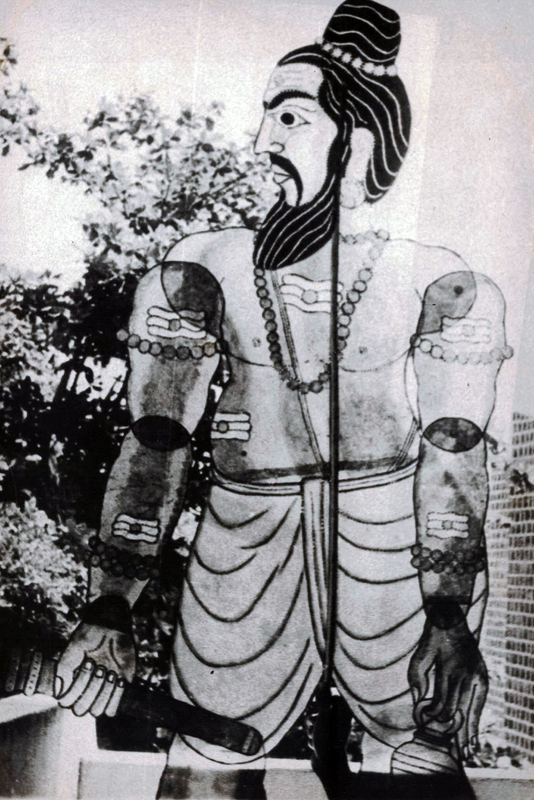 In some sets of figures Rama and Lakshmana (Rama’s brother) wear moustaches and Mogul (Mughal) style clothing, like baggy pants (shalwar). 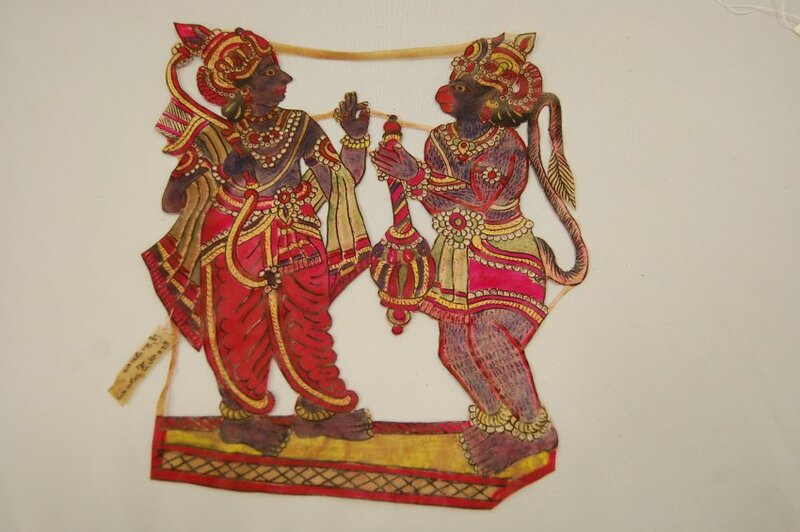 In general, the Ramayana and Mahabharata characters such as Rama, Krishna, or even Shiva during his rare appearances, are coloured blue, Hanuman is black or red, Ravana is red, and the other demons are black. 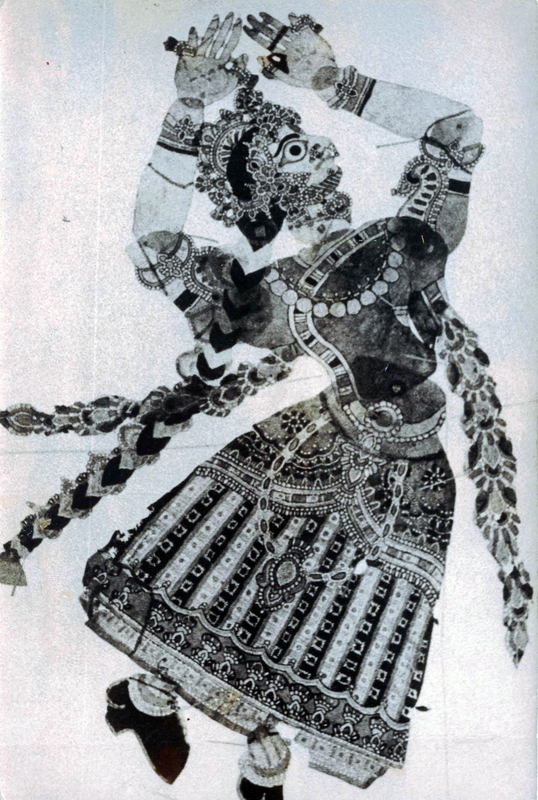 Two multicoloured clowns, Killekyatha and Bangaraku, wear a long skirt on which rest the articulated feet. Other comic characters, which had an articulated or fixed phallus with buffalo hair still attached to the leather, have disappeared since around 1970. 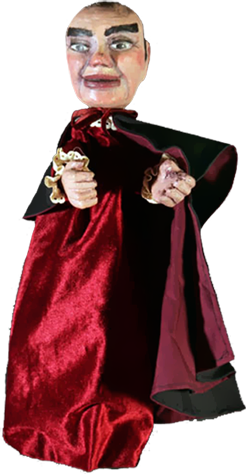 No less than three puppeteers are required in order to manipulate these large and complex figures and hold them flat against the screen (see also Manipulation). 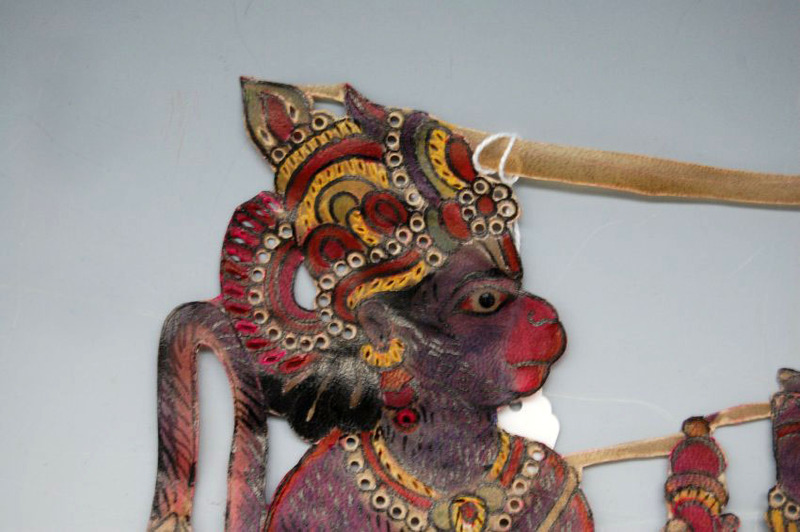 The screen is made of a piece of white cotton made from two dhoti (male loincloth measuring around 5 metres by 90 centimetres) stretched one above the other between two poles and held together with date palm thorns. The screen is slightly inclined. In the past, coconut oil lamps would be used as a light source. Nowadays, neon bulbs are placed above the head of the puppeteers and the light projects the coloured shadow through the screen. 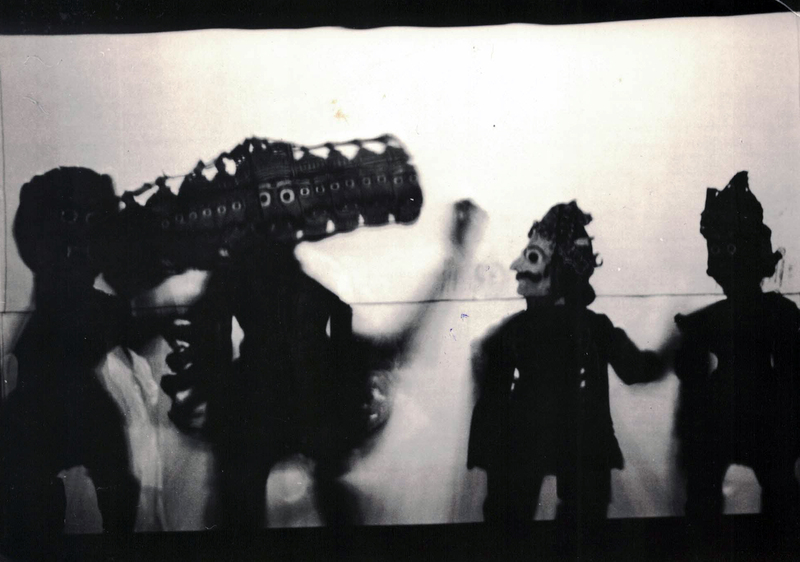 Women and children sit on the ground in front of the screen while the men prefer to stand on the side of the puppeteers or go back and forth around the screen. 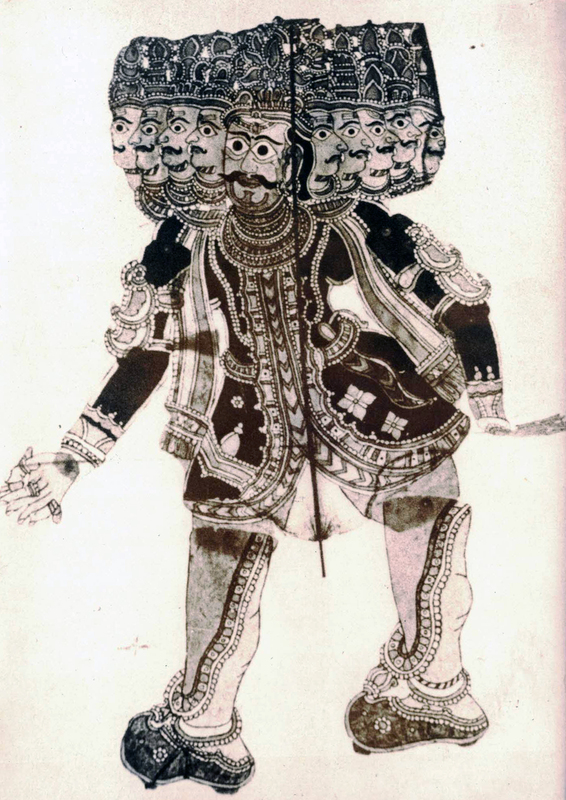 They watch with interest the dance movements of the puppeteers whom, with their anklet bells, accompany their figures in the choreographic style of kuchipudi (classical dance of Andhra Pradesh), banging their heels on a wooden plank placed underneath their feet. The duration of a performance varies between six to eight hours and a full performance can include thirty or so figures. The troupe is often a single large family of performers. 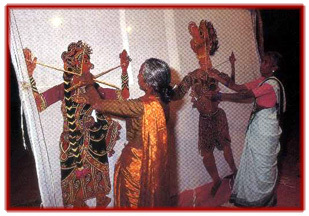 A group of puppeteers has a minimum of six people including two women (for high-pitched singing in the local Telugu language). Presently, this magnificent form of theatre, which has been in decline since 1970, can only be seen during specific events (festivals or foreign tours). 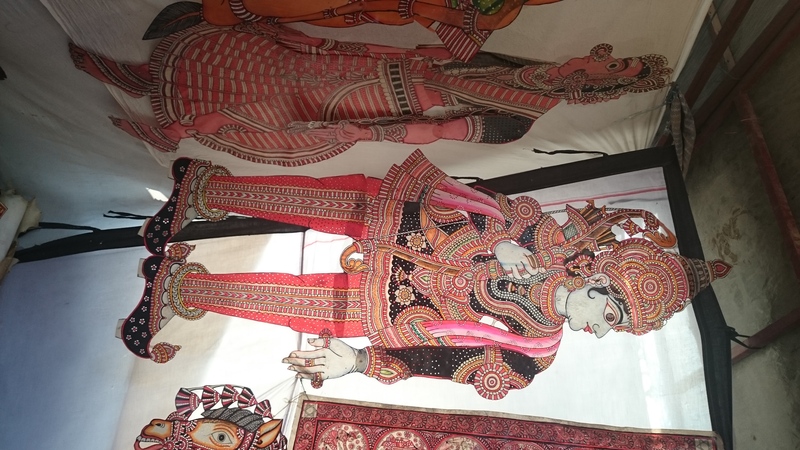 The poverty that these puppeteers have been reduced to, the loss of figures (to floods or eaten by rats) and a weak interest by Indian cultural authorities and the local population, which prefers television and the cinema, will inexorably head “the giants of Andhra Pradesh” to their end. 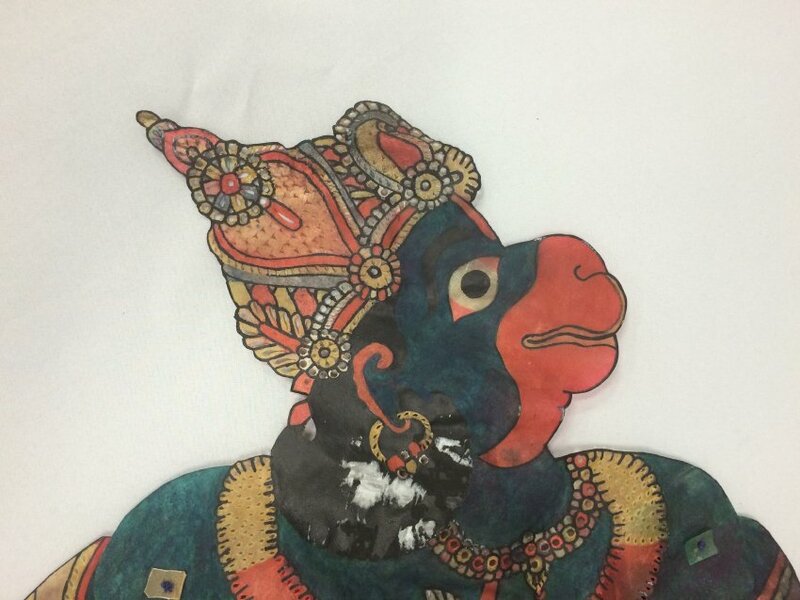 Today, there are troupes and traditional families performing tolu bommalata, some of whom are master puppeteers recognized locally and sometimes nationally for their contribution to the art of puppetry.